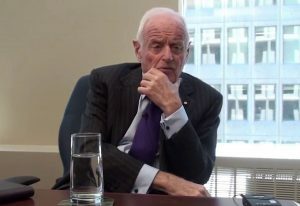 Barrick Gold’s founder and chairman emeritus, Peter Munk, passed away Wednesday, peacefully and surrounded by his family at the age of 90. Full text and images of the obituary can be found at www.barrick.com. We have lost a giant of humanity and intellect with Mr Munk’s passing.